I remember traveling throughout Europe back in the late 90's and could not beleive what they were paying approximately $5.50 for a gallon of fuel. I remember thinking how fortunate I was that I lived in the US and was paying only a fraction of that cost. Well those days seem to be slipping away. Not only are we paying more for fuel but the cost of everything seems to be on the rise gone. We are becoming more and more like the countries that people left when they immigrated to the United States. 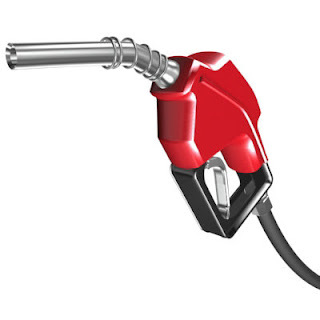 TAMPA (CBS Tampa) — Talk about pain at the pump! Some Florida drivers are spending nearly $6 a gallon to fill up their gas tanks. According to GasBuddy.com, motorists are shelling out $5.89 for a gallon of regular gas at a Shell station in Lake Buena Vista, topping out at $5.99 a gallon for premium. It doesn’t get better at a Suncoast Energy station in Orlando, where drivers are paying $5.79 for a gallon of regular. “Prices over in the Disney World area are much higher than any other place in Florida,” Jessica Brady, AAA spokeswoman, told CBS Tampa, adding that people regularly complain about gas prices in that area. The Sunshine State is opening up its wallet, paying an average of $3.67 a gallon of unleaded gas, 12 cents more than the national average. And it’s only expected to go up.